A security program is a documented set of your company's information security policies, procedures, guidelines, and standards. Your security program should provide a roadmap for effective security management practices and controls. Having a security program will help you ensure the confidentiality, integrity, and availability of your client and customer information, as well as your organization's essential data. Today, the risk of security incidents and potential breaches is higher than ever before. Breaches affect large numbers of financial organizations, healthcare organizations, and public-sector entities. But any company in any industry could be a potential target. Whether or not you deal with data like customer financial information or healthcare information, your data could be the target of an attack. Your own financial records, key information, or other confidential information could be an attractive target for attackers as the information they could potentially sell or manipulate in other ways to make a profit. Regardless of your organization's size or the type of data that you handle, your responsibility is to mitigate the risk of having it lost, altered, or stolen. Your information security program will establish the policies and processes that you'll use to protect your information. Programs like your incident management plan, enterprise security architecture, and threat and vulnerability management are all components that will help you understand where your data lives and what processes are in place to protect it. A well-built information security program will have multiple components and sub-programs to ensure that your organization's security efforts align to your business objectives. 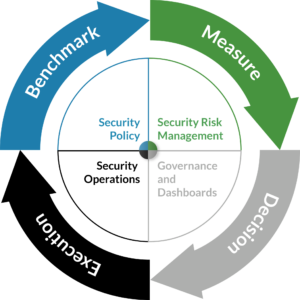 Establish a benchmark for security. Security should be defined in your environment through your security policies, standards, program, and process documentation. Your benchmark is the current state of your information security program, which will be what you measure against in the future. Measure against the benchmark. As your organization conducts assessments, you should measure against the initial benchmark to see how effective changes to your security program are. Enable informed decision-making. Your security program should have an effective communication system in place to provide key stakeholders and members of your organization's management. The system should relay the results of your measurements and other information they need to make informed decisions about your security program. Support the execution of decisions. Once organizational leadership has made a decision, your security program should enter an execution state. Begin the security projects that have been approved, and regularly track the progress and results. The individual components and sub-programs of your information security program will vary based on your organization's objectives and regulatory requirements. Charter — Your charter is an organizationally-approved document that defines how your security program will work in the context of the overall organization, with things such as scope, mission, mandate, and other things. Policies — These define how your organization will address security issues. Policies are derived from your requirements and establish the standards and guidelines for your program. Processes — Your processes are the procedures that ensure your security program is both repeatable and efficient. This document will help you identify the business rules, roles and responsibilities, and tools your organization will use to perform security activities. Measurement — This is one of the most important security program components. Measuring how your program is performing in your environment will help you determine what improvements need to be made. Each of these security program components and documentation can be applied to specific domains such as information security governance, risk management, compliance, incident management, and other sub-programs that your organization deems important. 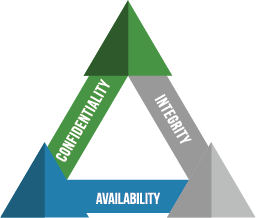 An information security program can and should be tailored to your specific organization. To get more information about security programs or to start taking the steps toward creating one for your organization, contact the team of experts at CISOSHARE. Want to learn about other security program elements?